A retreat is an opportunity to deepen our experience of a practice with which we already have some familiarity. Some retreat sessions may include guidance – for the benefit of beginners – but in general teaching is not emphasised as much as meditating to gain deeper familiarity with what has already been understood. What makes a retreat ‘a retreat’ is the boundaries we put on our activities of body, speech and mind. As well as the retreats which are part of the Teacher Training Programme (TTP) we also hold shorter retreats, such as day retreats at the centre. Students on the TTP have a commitment to engage in certain retreats per year to deepen their experience on essential Buddhist teachings. If you are attending a retreat for the first time please let us know in advance that you’re coming. We will explain what to expect and how to make the most of your opportunity to attend the sessions. Course Fees: There are generally no fees for retreats although retreats away will involve a fee for accommodation and food etc. 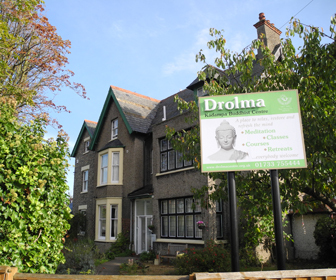 Drolma Centre is a charity/non-profit organisation hence depends on donations for maintenance. All donations to the Centre are greatly appreciated. The sessions follow the schedule given in the appendix of The New Meditation Handbook. This includes guided meditation and so is ideal for beginners. 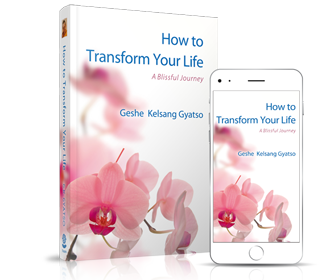 These meditations cover the whole of the path to enlightenment. Many of them are helping us to improve our intention towards other beings by improving our love and compassion for them. Others help us to develop concentration and wisdom. The practice of going for refuge is the gateway to Buddhadharma. It entails understanding our situation as living beings and recognising that we need help if we are ever to bring our suffering to an end. With the understanding that the Three Jewels that are Buddha, Dharma and Sangha are completely reliable sources of protection from all suffering, we turn to them for help. A special fasting retreat in conjunction with 1000 armed Avalokiteshvara. This retreat includes prostrations and is an excellent way of purifying negative karma. Attendance at the first (6.30am) session (or taking Mahayana precepts at home at 6.30am if you have taken the precepts before) is required for each day that you want to attend any sessions. To get the most from the retreat it is best to attend all the sessions. Please contact us to discuss this retreat if you have never attended it before. This retreat combines two special practices that help us immeasurably to receive blessings, accumulate merit and develop pure views. A powerful purification practice to remove the imprints of negative karma from our mind. All our suffering and our obstacles to spiritual progress come from our negative karma. Purifying our mind brings immeasurable benefit.